Sept. 14, 2010, 10 a.m.
By Megan Garber @megangarber Sept. 14, 2010, 10 a.m.
Susan Orlean is proof that being the consummate narrative journalist doesn’t conflict with becoming the consummate Twitterer. In her feed, currently 78,000-plus followers strong, the author and longtime New Yorker writer inverts the Jay Rosenian “not lifecasting, but mindcasting” approach to the platform: Orlean’s Twitter feed is focused on her life, from her writing, to her chicken-raising, to even — meta-tweets! — her use of Twitter itself. Rather than curating the web worldwide, Orlean (a former Nieman Fellow) curates the web of her own experience, leading to a feed that is, in all, personal and whimsical and delightful — a memoir unfolding in real time. But if it’s a memoir, it’s an interactive one: To follow Orlean’s feed is to follow countless conversations between the author and her readers. I spoke with Orlean about the way she interacts with this most interactive of media; she explained how writers can use Twitter to connect with their readers, why using Twitter makes financial sense for narrative journalists — and why it took Tweetdeck to make her a convert. The transcript below is lightly edited. Megan Garber: So, first things first: How did you get started on Twitter? 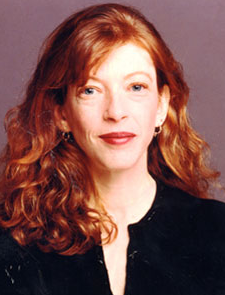 Susan Orlean: I had an assistant who is quite a bit younger than I am, and one day she said to me, “You know, you really ought to be on Twitter.” I think her feeling was just: “Writers should be on Twitter.” So I opened an account — and I really didn’t do anything with it at first. It took a while before I “got it,” and began using it, and appreciating it as a part of my writing life. MG: Was there a particular event or exchange that made it click for you — or was that appreciation more of a gradual process? SO: It was gradual. When I was following a particular narrative in my life (when I was talking about one of my chickens being sick, for example), and seeing people respond to it — that made me think, “Interesting. Maybe this is a different way of talking to readers.” But it took a while. Twitter was something I didn’t quite “get” until I was actively using it — and until I was looking at it in a different way, rather than just on Twitter.com. It’s hard to appreciate the way it works if you don’t look at it on other services. MG: Which platform were you using when things clicked? SO: Tweetdeck. I’ve urged people — anybody I know who’s been using Twitter, but not understanding it — to use Tweetdeck, or some other interface. Twitter makes so much more sense that way. It’s really hard to understand it until you look at it in a different way — literally. MG: That’s true. There’s something powerful in having the flow of Twitter — the conversations and interactivity, in particular — visualized, and then centralized. Speaking of that, I love the description of Twitter you used in your “What I Read” feature on The Atlantic’s site: “a tendril of my writing persona.” Do you think of your feed as narrative in the classic sense? SO: I do. For one thing, you’re creating and supporting and embellishing a persona. That fosters a narrative of who you are and what you feel is worth commenting on. And if you’re a person who already has a public presence, you’re enhancing people’s understanding of where that’s coming from. In many cases, you’re following stories; you’re telling stories that have an ongoing narrative. There have been a number of instances where I’ve told stories and followed them — mainly personal stories, since I’m not using Twitter as a reporting medium — and people reading my feed have seen those stories unfolding. They’re generally fairly short stories, but they’re stories nevertheless. MG: I love it when snippets of those stories — little Twitter nuggets — make their way into your more traditionally structured pieces: the work published in the magazine and even on your blog. It feels almost subversive, in the sense that we’re getting peeks into the background of the author’s life, and the background of particular narratives, that we wouldn’t have been privy to before. SO: It’s an enhancement. You’re in control of how much you do or don’t want to reveal, but, yes, there’s also the pleasure that a reader might find in watching a story being born, so to speak — or even in hearing me thinking out loud about a story as I go along. When I first started writing, I was working for a small, alternative news weekly in a smallish city [Willamette Week in Portland], and I knew who was reading my stories. I would see them, I would talk with them, I would get reactions from them — and I had an ongoing sense of who was reading my work and how they were experiencing it. When I first started writing for national magazines, it felt very strange. Suddenly my readership seemed really removed. I did run into people who’d say, “I just read your story” — but it’s very different from writing for a paper that’s in a smaller city, where you just see the reaction, and you know exactly who’s reading your work and why, and they know you, and there’s an intimate relationship between the writer and the audience. I feel like Twitter is bringing that back, a little bit. It’s intimate in a very different way, but I once again have a sense of who my readers are, for the first time in a long time. They know what I’m working on, and they know when I’m flailing. It just creates a different sort of connection between a writer and a readership. MG: That’s true. And I like, too, that Twitter creates another size option, I guess, for narrative: small (Twitter feed), medium (blog), large (magazine) — all radiating from, and feeding back to, that one central story. SO: Yeah. For me, it was particularly nice to get engaged with Twitter at a time when I was working on a book. You go for this long, long, long stretch of being in a rabbit hole with this piece of work that’s taken years to do, and it can feel like, “AARGH! Is anyone out there?” I’ve found it enormously encouraging to think that there are a lot of people out there who are an audience — whom I can encourage to listen up and be prepared for the project when it’s out and ready to be read. I like being connected to readers. You can also use Twitter to feel your audience. As I’ve been working on stories, sometimes I’ll mention something I’m working on — and I’m very interested in the reaction. I love doing readings, and to me Twitter is actually very much like doing a reading — in the way that doing a reading in front of a live audience gives you a chance to see, “Gee, people didn’t respond to that line,” or “People seem puzzled by this part of what I’ve read.” It’s been an interesting way to gauge an audience. It’s also been useful for building up interest in a story. It’s a way to say to people, “I’m working on this now. Keep an eye out for it” — without being annoying or using the medium purely promotionally. It gives people a glimpse of a story in advance, and a chance to anticipate something — which is nice for readers, I think. There’s never any reason not to get people interested in a story ahead of time. MG: Definitely. And that process also gives readers a sense, I think, of being more intimately involved in the story simply by familiarity with it. Even just a bit of background knowledge — that sense of being clued into the creation and the dynamism of a piece — invests you in it. SO: I think so. I think Twitter’s really important in that sense, frankly. In a world where we’re worrying about people’s commitment to reading, the more engaged readers feel in your work, the more likely they are to follow it — and to pay for it. It’s marketing in the best sense, because it’s finding the people who are interested in work and keeping them involved in it in a way that they’ve never been able to be before. I think it’s all to the good. MG: Have you found that being on Twitter has affected your writing, style-wise? SO: Yeah, I think that’s inevitable. I think the economy of expression, if nothing else, reminds you that it is entirely possible to say something of substance in extremely few words. If nothing else, Twitter is just a very useful reminder that you don’t have to go on ad nauseam to make a point or even to say something of real emotion. I’m not sure that I’m writing my book in 140-character spurts, but I do think that I’ve been reminded of how efficiently you can really make points. And I think that it has an effect — as you sit down to write something considerably longer, you appreciate how well you can telegraph something. I think, for a writer, any writing you do, whether it’s an email or anything else, exercises the same muscles that are going to be used when you sit down to write your magnum opus. You’re always learning, and you’re always trying things out, and you’re always practicing. Any form, with its limitations, gives you a new set of parameters to work within. And I think every writer can benefit from that. Because there are always limits; there are always parameters. Whether it’s that you’re a reporter, and the limits are the truth of the situation, or that you’re a fiction writer, and the limit is the length that your editor is going to permit you — there are always restrictions. So learning to write in yet another restricted form is just great practice. It doesn’t mean, necessarily, that you put into play the ways you write with Twitter. But I think that every time you write, you’re learning something. You should be learning. POSTED Sept. 14, 2010, 10 a.m.
Garber, Megan. "Twitter queen Susan Orlean on the mini-medium, the interactive narrative, and the writing persona." Nieman Journalism Lab. Nieman Foundation for Journalism at Harvard, 14 Sep. 2010. Web. 20 Apr. 2019. Garber, Megan. "Twitter queen Susan Orlean on the mini-medium, the interactive narrative, and the writing persona." Nieman Journalism Lab. Last modified September 14, 2010. Accessed April 20, 2019. https://www.niemanlab.org/2010/09/twitter-queen-susan-orlean-on-the-mini-medium-the-interactive-narrative-and-the-writing-persona/.